FLOW TCI has launched the fastest and most advanced 4G network across the Turks and Caicos Islands. The 4GLTE network boasts expansive coverage across Providenciales, Grand Turk and South Caicos, as well as higher capacity with enhanced mobile data services. FLOW's 4G LTE will allow smartphone users to fully unleash the power of their smart devices such as Apple's® iPhone® 6s, iPhone 6s Plus and the new Sony Xperia E4g. FLOW customers can now truly experience the amazing data processing power of these devices. LTE (Long Term Evolution) is a 'fourth generation' (4G) mobile service which will enable our customers to access their mobile data at far higher download speeds than previously available. Browsing the internet, downloading files and streaming videos will become almost instantaneous. 4G LTE smartphones link up to FLOW's 4G LTE network, handling data and processing information faster than the previous 3G network. 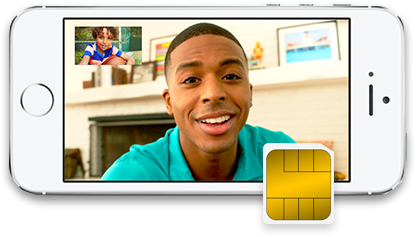 Our 4G LTE sims give you quicker access to the network, so you can enjoy all the benefits of 4G LTE. To get 4G LTE You will need the latest software on your smartphone. It is always a good idea to keep your software up to date to get the very best from your smartphone. At only $49 per month, upgrade to our recommended 3GB data plan with the only network that delivers 4G LTE exclusively to Apple and Sony devices. want to use your Apple or Sony device on 4g lte? Existing FLOW customers, upgrade your iPhone or Sony SIM and benefit from 4G LTE. It's easy. Whenever you're ready to upgrade and recieve all the benefits of Superfast 4G LTE simply Come into any of our stores and swap your sim.